At Meridian part of our vision is to celebrate achievement and diversity. Below are some examples of how we as a school recognise and respect peoples backgrounds and cultures through special visits and community events. In October 2016, we celebrated one of Peacehavens most special residents Simon Munn. Simonrecently returned home a hero from the Rio Paralympic games with a bronze medal in the men's wheelchair basketball. Simon spoke to the whole school about his journey and the children had the opportunity to ask him some very mature and intriguing questions. In November 2016, as a result of our hard work and achievement in building learning powers a group of 32 Icelandic teachers came to immerse themselves in our culture of learning powers. Our Winter Fair on Friday 25th November went really well – we were so lucky with the weather because we managed to avoid the wind and rain! The PTFA worked incredibly hard organising and putting on this event and making it such a successful evening. Thank you to everyone that got involved – we could not have done this without you. And thank you to everyone that came along and enjoyed the festive fun! We raised an amazing £1100 which will go towards funding coaches for our school trips and buying equipment for the children to use in school. On Friday 2nd December our choir sang at the Christmas Concert at the Meridian Centre and they were brilliant! Thank you to all the children that took part in this festive event – everyone who watched commented on your enthusiasm and super behaviour. Huge thanks also goes to Miss Pulleine for organising and rehearsing with them and Mr Mole for accompanying them and supporting them that evening – we are very lucky to have teachers that will give up their own time to ensure that the children at Meridian can take part in these wonderful experiences and important community events. We won an award! At Meridian we have been working incredibly hard over the last few years to develop children’s understanding of different learning skills. Our Building Learning Power Heroes are very popular and children can confidently speak about the different learning skills that they can use, such as noticing, perseverance, managing distractions and collaboration. As a result of all our hard work, we were recently awarded the Silver Award from TLO (The Learning Organisation) who have been supporting us through this whole school development. 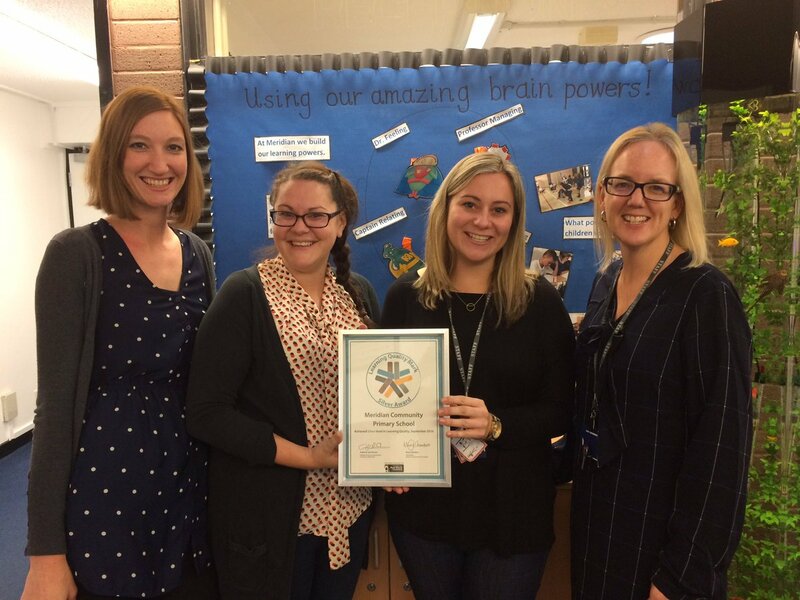 I am so proud of this achievement and would like to thank our Building Learning Power Working Party for developing and embedding this approach across the school. We recently had 32 teachers from a school in Iceland to see our good practice and in March we are hosting an event to share our approach to other schools who are thinking about introducing this to their children. What a fantastic achievement!